How does one capture the scent of “joy” or that of any emotion, for that matter? 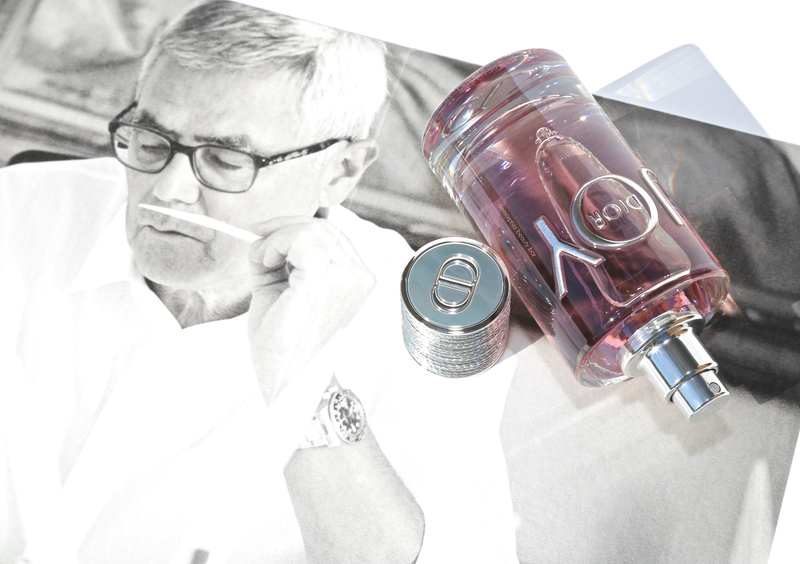 Well, if you’re Dior’s master perfumer François Demachy, you tap into your inner feelings, play with a bounty of ingredients, add spokesperson Jennifer Lawrence into the mix, et voilà: Joy Eau de Parfum is born. Ok, so obviously there’s so much more to it than that, but doesn’t my version sound like fun? Is it strange that even this box gives me joy? 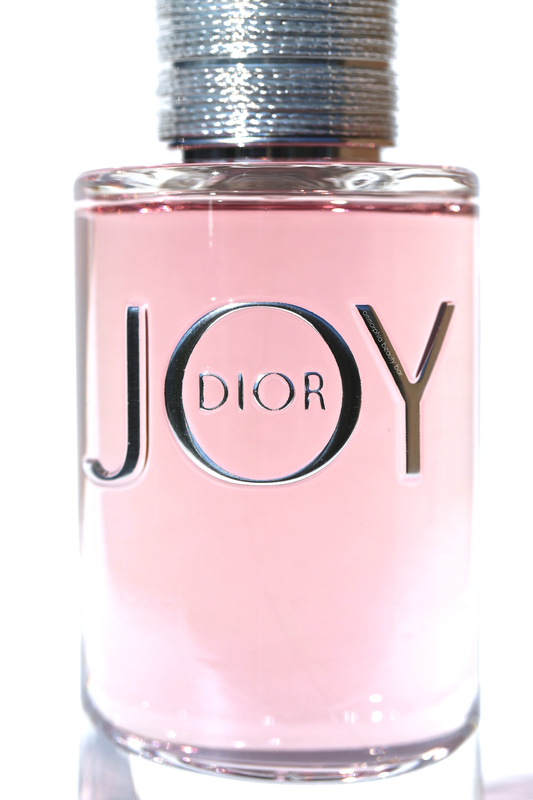 JOY Eau de Parfum (CAN $119.00/50 ml) | Let’s get the elephant(s) in the room out the way, shall we? 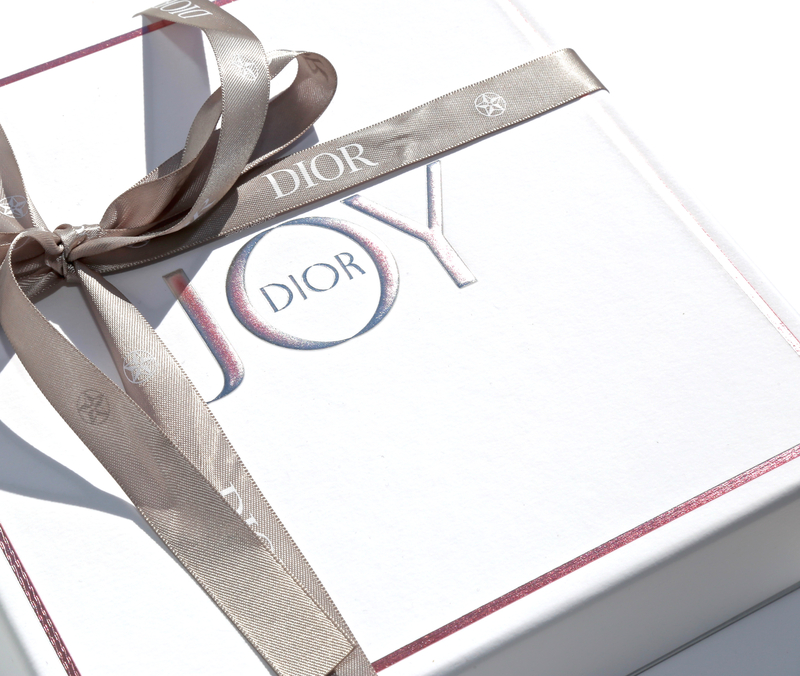 Yes, I’m aware that the iconic fragrance ‘Joy by Jean Patou’ will always be THE one and only that people will refer to when they hear this name, so it may seem rather presumptuous on the part of Dior to have assumed it. I also understand that Dior actually bought that venerable fragrance house, so I’m guessing all the legalities were dutifully attended to and even though I’ve never personally smelled the Jean Patou version, my gut tells me that the two are nothing alike. It may also be a coincidence that the name of this fragrance just happens to be the same name/title of a movie that spokesperson Jennifer Lawrence starred in — but then again, coincidence or not, I personally don’t mind the tie-in. Lastly, I did some quick research and some people are comparing this to CHANEL’s Allure, but again, since I’ve never worn or smelled that, I couldn’t say — and neither am I bothered by it. Ok … now for the fun stuff! 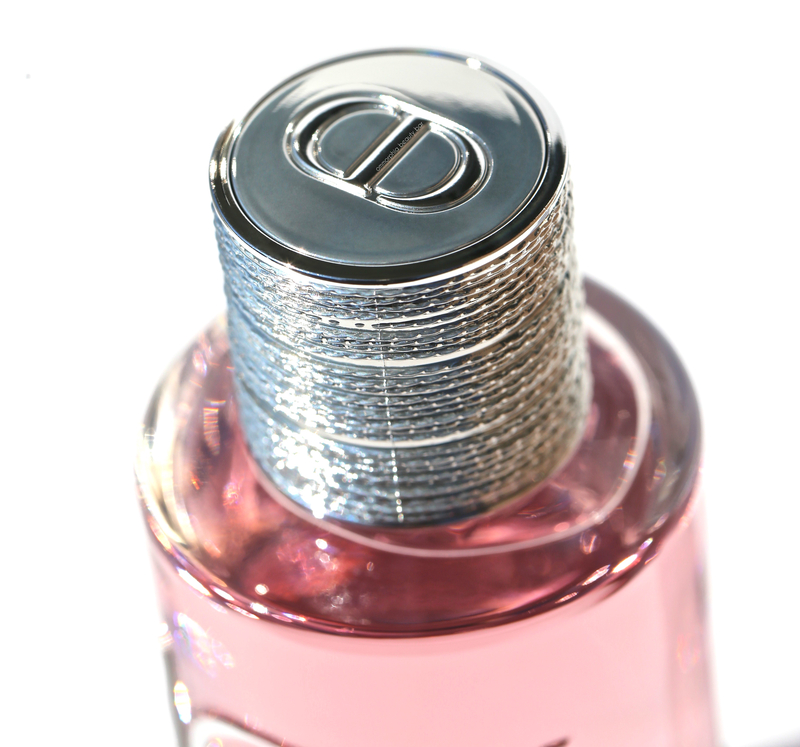 The bottle with the name in modern silver raised lettering that fronts the deceptively simple (but still sophisticated) column-like shape, is crowned by a matching silver cap that appears to have fine silver threading — a nod to the House’s fashion heritage, no doubt. Imagining what “joy” is and then trying to bottle that, was not the intention here, but rather it became more a poetic license on the word, with the freedom to interpret the meaning in an olfactive way: lighthearted and fun without veering into the overly clichéd. The body of the fragrance encompasses flowers, woods, and even musks, providing a rounded feel that is light enough to wear every day, but can still trail languidly away into evening. Long-time fan here – I always love reading your blog! 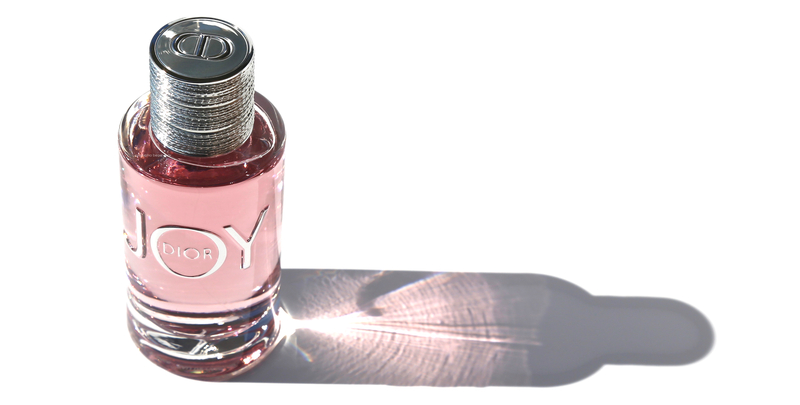 I’m sorry you never got to smell Jean Patou’s Joy (is it even sold any more?) – it’s a big, bold, floral, in the same style as Robert Piquet’s Fracas, although Fracas is based on tuberose and Joy is based on roses. Although I admire the beauty of the fragrance and the artistry which went into its creation, it’s just not “me” – like a huge, gorgeous ball gown which would suit someone else so much better. I prefer Orientals and chypres – Robert Piquet’s Bandit, for instance, is much more my style. As for Chanel’s Allure – you haven’t really missed anything. It’s pleasant, designed to please a younger, more mass-market audience than the traditional Chanels like Bois des Iles or Cuir de Russie (two of my favourites). I hope I don’t sound like a perfume snob – I just like what I like. First of all, thank you for your continued support Barbara — it really means a lot to me ? Regarding brands targeting a younger and more mass-market demographic, sadly that’s been the way things have been going. That said, I also sense that change is happening in the industry so I have hope! By the way, I sure hope that the original Joy is still available because after your description, I so want to smell it! And for the record, fragrance is totally subjective to each individual’s taste & body chemistry so never think that you’re a snob — I also “just like what I like”. No apologies!! !